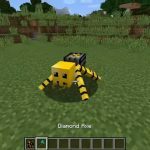 Baby Animals Model Swapper, Squickens Mod adds baby versions of the friendly mobs in Minecraft. Ability to tame baby animals. Do this by giving them wheat. Ability to have a baby animal follow you. Do this by giving them seeds. Don’t move too fast or they’ll get lost! Right click on the animals with an empty hand and they’ll stop following you. To make babies ‘wild’ again you can give them yucky cactus greens. Thrown eggs have a small chance of hatching chicks. Baby animals will not follow adults. Tamed baby animals can turn into adults by giving them a birthday cake. The adult is permanently tamed and will still follow you if you offer it seeds. Tame sheep can be dyed like wild sheep. To shear them, right-click on them with a piece of flint. 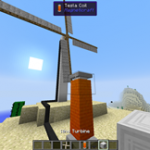 Their wool grows back in a full Minecraft day (20 minutes). Tame pigs can be saddled, but not controlled. Right click with a stick to ride/dismount. Once the saddle is put on, it does not come off. 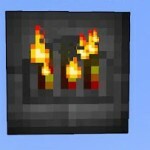 Redstone dust can be used to restore full health to tame animals. It will also regrow sheep fur instantly, makes chickens lay an egg instantly, and will cause a pregnant animal to give birth instantly. 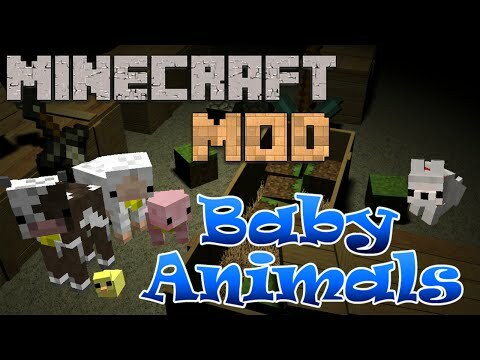 Replaces the vanilla baby models with the models for the original Baby Animals Mod. Model Swapper does not have any of the functionality of the Baby Animals mod, it only changes the look of the baby animals. 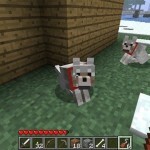 You still interact with them the same way as you would the vanilla animals. Squickens are a cross between chickens and squid. 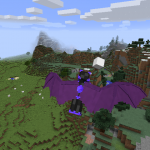 Anyway, they do not spawn naturally so they can’t take over your world. Once you have created two adult squickens you can breed them using raw fish, their favorite food. The adults will give you an ink sac once in awhile the same way chickens drop eggs. Otherwise they behave like chickens and can be lassoed/farmed like the rest of the animals. 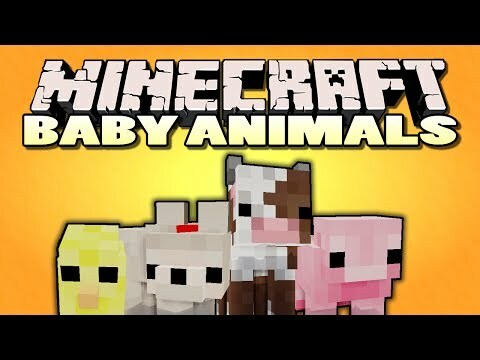 Minecraft: baby animals! 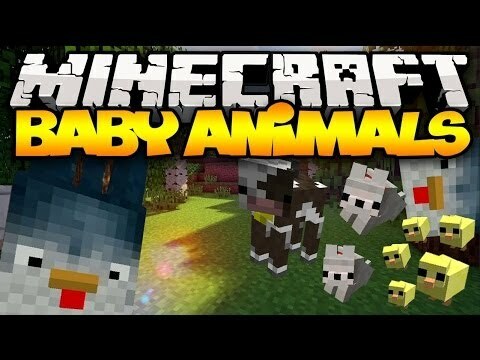 (squickens & adorable baby..
Minecraft: baby animal pets (squickens and new baby animals!).. 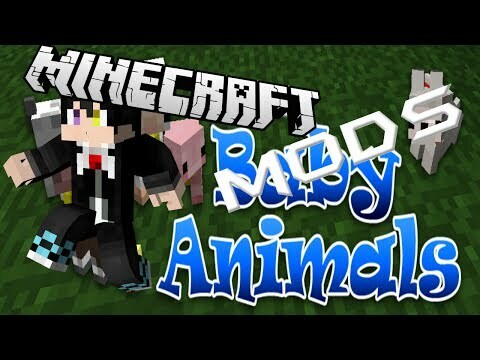 Minecraft mods - baby animals mod - cute new models (minecraft..
Minecraft mods: better babies mod! 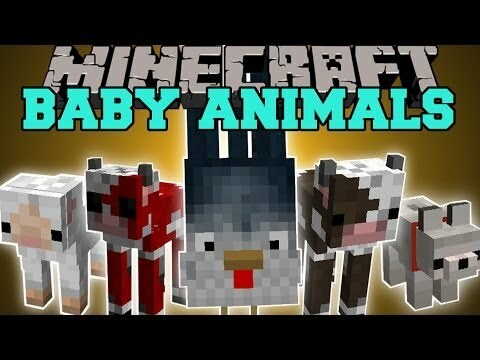 [1.6.4] (baby animals model..
동물들의 아기들이 더 귀엽게 바뀌었다!..